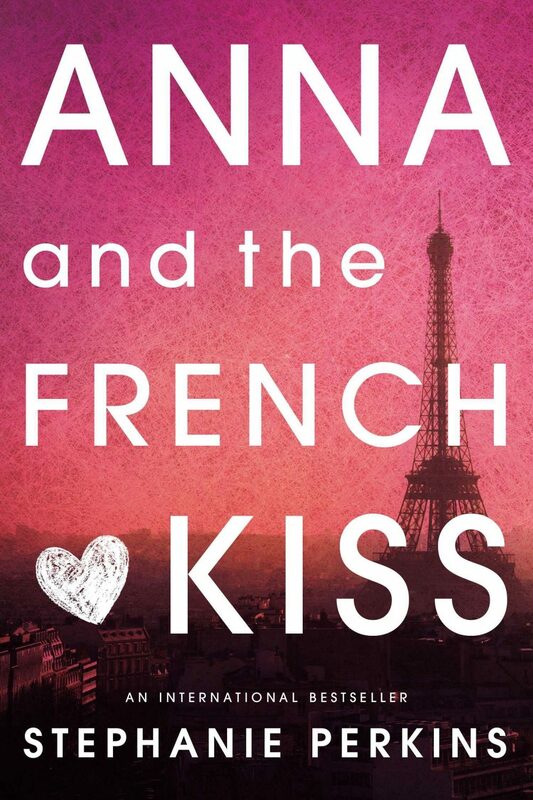 7 of 10: I have such mixed feelings about Anna and the French Kiss. On one hand, it was delightful; on the other hand, it was kind of. . . formulaic. And this coming from a person who could read 4,563,215 teen romances and still want more. This book has been getting mega buzz in the blogosphere. So much so that, for the first time in my life, I actually emailed the publisher and asked for a copy. Because you can only read so many reviews that compare a book to Sarah Dessen before you absolutely must read it. The downside is, of course, that then you will spend the entire reading the book comparing it to Sarah Dessen. And as I’ve learned in the last two years since I drank the Sarah Dessen Koolaid, that is a comparison that rarely ends well for other books. Anna is spending her senior year at a boarding school in Paris because her father, who has recently become quite rich, thanks to a number of Nicholas Sparks-type books and the subsequent movies, decided it would really broaden her horizons (or, more likely, be an impressive thing to mention off-handedly: “Oh yes, my daughter is studying in Paris“). Anna is not at all thrilled to be uprooted from her home, her family, her best friend, and the maybe-just-about-to-go-somewhere romance with her co-worker, but her dad has already paid for it and “no” isn’t really an option. And so, just like that, she’s suddenly living in Paris. She’s homesick, of course, and that’s compounded by the fact that she speaks almost no French at all, so going anywhere seems terrifying to her. Fortunately, the girl in the next room befriends her and brings her into a small group of friends, one of whom is the very popular and good-looking St. Clair. Who, to no one’s surprise, has a girlfriend – a girl who graduated the year before and now is attending a local university nearby. He’s very welcoming and friendly to Anna and he has great hair (I swear, his good hair must have been mentioned at least fifty times, and this is no exaggeration). He’s also three inches shorter than Anna which is only mentioned in passing, but was something I just had to ignore. Perhaps it is because I am only just under 5’4″ and a guy three inches shorter than me would be very short indeed. Whatever the case, I had to just readjust St. Clair to be about 5’10” in my mind. Let us return to the book and leave my many personal issues behind us. Anyway, they become quite close friends, but Anna is never sure whether or not he is just truly friendly or if he actually likes her. And she’ll think he does and then she thinks he doesn’t. And this goes on for nearly 400 pages. I mean, really; must we play such games? I really liked Anna. As a person who perpetually lives in fear of getting in trouble, it warms my heart to occasionally see a character who displays that same traits (I can’t tell you how many books make me want to shake a character and say, “Are you out of your MIND?! Don’t you know that stealing a car and driving it without a license is probably a VERY POOR IDEA?!”). Anna hates the idea of ditching school, but also doesn’t want to let down her friends. She is very reluctant to go drinking, even though at her age it’s legal in France. I did have a hard time buying the fact that she was the mega-film buff she is and had no idea that Paris was a big film city (on the topic of movies, the best line of the book came when she asked her friends go to see an old movie with her and one of the girls says she doesn’t really like old movies: “The acting is so, ‘Hey buddy, ol’ pal. Let’s go wear our hats and have a big misunderstanding.'”). Classic. I appreciated how realistic her homesickness was and how, when she returned home, after longing to be there all semester, it doesn’t really feel like home either anymore. And her little brother and mom, after being so excited to see her, are quick to give her a hard time about the changes in her since living in Paris and she feels like she doesn’t quite fit in anywhere now. Isn’t that the way life is? And the Paris in this book seemed so real to me – I thought the setting was just masterfully done. I am perhaps a reader who generally likes things spelled out for me, but this one seemed a little bit crazy obvious in places to me. When she would come to some realizations, I’d think “Are you kidding? We’ve all known this for 100 pages. Why is this a big revelation now?” I think the main problem was that there just wasn’t quite enough other substance to the storyline to drag on the “does he like me, does he not” for four hundred pages. Not to mention the fact that some of the big plot twists were so obvious you could see them coming from the first quarter of the book. And, as I’ve mentioned before, I am NOT the person who guesses plot twists. I’m all “wait, HE’S the murderer? !” every time. And it kind of sat wrong with me that St. Clair first admits that he likes her when he’s completely drunk (he’s just had some really terrible news and is dealing with it in that time-honored tradition of getting absolutely smashed). Wes would never have done such a thing. It was a fine book. There were moments I genuinely enjoyed, parts I thought were very well-done, but it just didn’t quite achieve the magical sweetness that I want out of a teen romance. Also, I really am now wishing that I’d gone to boarding school in Paris. 400 pages?! For what? Thanks for the review. And, aren't you glad you were at home during high school? My real question here: how does one go about getting advance copies all the time to review? Do publishers really just hand out books…for free? I knew I'd seen this books somewhere! You have subconsciously invaded my mind. 🙂 I was perusing the YA new releases recently at my library and I saw this book and thought I'd give it a try. I could have sworn I'd heard about it somewhere before and what do you know, a quick search here and voila! You've read it and reviewed it. Too funny. I read this one this week. I was ok with the drunk part, but in the end, his reason really disappointed me. He wimped out. I loved the rest of it though, Paris, the school. I'm a sucker for a boarding school, having gone to one.